It is well-understood that today’s food security challenges demand a harmonized approach between global actors that maximizes shared resources and fosters innovaton. 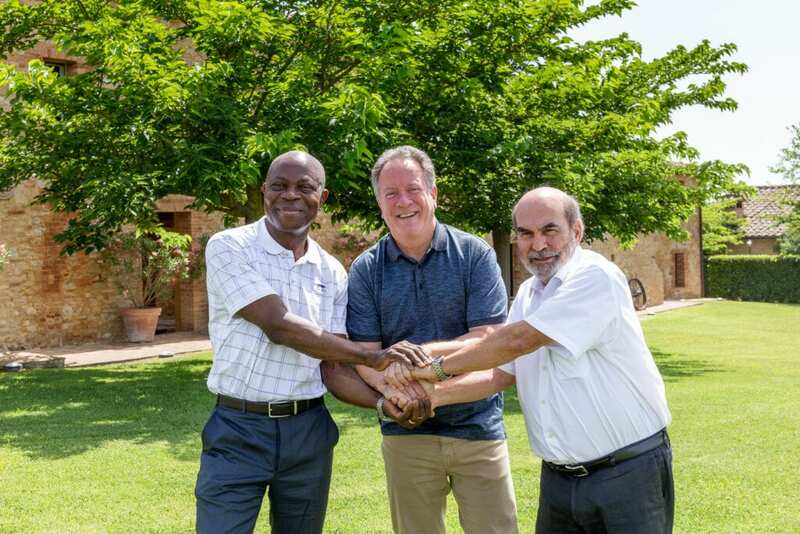 Toward that end, Sunnylands convened the leaders of the three United Nations agencies most focused on food security and agriculture for a retreat in Buonconvento, Italy, on July 1-2. Along with deepening personal ties between the heads of the World Food Programme, Food and Agriculture Organization, and International Fund for Agricultural Development, Sunnylands’ retreat goals were to explore ways to drive collaboration among the agencies’ senior staffs and to identify areas for inter-agency collaboration and strategic alignment. Participants noted several key outcomes, including the potential for new regional collaboration strategies on food security and hunger.